Robert Leon Buly is the son of an Italian mother and an American father, so when he bought a Tuscan property 2006 he was simply going back to his roots. The land had 300 olive trees and he's since planted a vineyard as well. 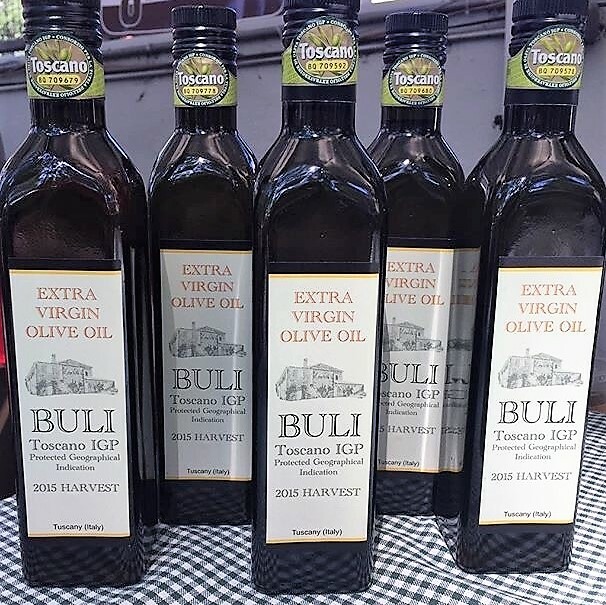 Buli Olive Oil uses modern mechanical methods to press their olives, producing an oil that is concentrated and pure. The oil is certified IGP (Indicazione Geografica Protetta), indicating that it embodies the typical, traditional characteristics of olive oil from a specific geographic region.